Intro: Kristen Villarreal is the mother of Houston and Quinn. 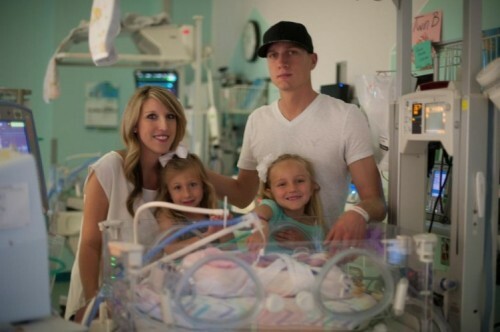 We asked her to blog about her experience in the Cook Children’s Neonatal Intensive Care Unit. This is how they became part of our “NICU family.” You can help newborns like Houston and Quinn, while having a good time this weekend at Pickin' for Preemies. People tell me all the time that I am strong, but that’s only because they don’t know my twins. Born at 24 weeks, Houston and Quinn Villarreal each weighed 1 pound, 8 ounces and were 12 inches long. Both of my little ones have gone through so much. At different times in their lives, they were given a 50/50 chance of survival, but they kept fighting. During their time at Cook Children’s they've had many blood transfusions, were on a high frequency jet ventilator for two months and intubated for three months. Quinn was born not breathing and needed to be resuscitated. At 2 months old, she had patent ductus arteriosus (PDA) surgery at Cook Children’s to control the blood flow to her heart and lungs. On the day I’m writing this blog, Quinn had surgery to remove two cysts in her esophagus that were obstructing her airway. At 4 days old, Houston had emergency surgery for a bowel perforation. At 2 months old, on the same day of Quinn's PDA surgery, Houston needed treatment after became septic and had bacteria in his blood. Within that same month, he needed surgery to re-attach his intestines and remove his ostomy bag. One month later Houston had another operation to repair two hernias. But my kids are strong. Today Houston and Quinn are 5 months old. 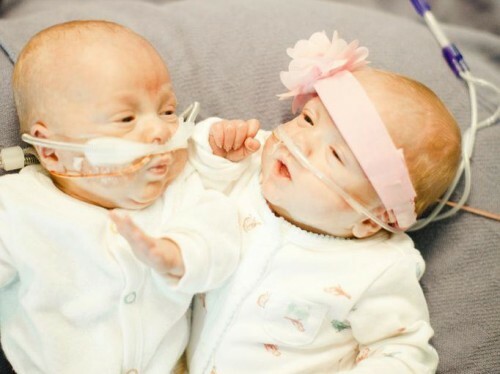 They are on 1/16th liter of oxygen, and eating almost all of their bottles. These little miracles have completely beaten all odds. They have been fighting for their lives from their very first moment. So when people say I'm strong, I say my strength is nothing compared to my little blessings. Strong is these AMAZING babies that came into this world and have already dominated it! Strong is Houston and Quinn. I truly believe we could not have picked a better hospital to take care of our babies than Cook Children's. From day one, the focus has been on our babies and our entire family. Day in and day out, they made sure our stay at Cook Children’s was as comfortable as possible. We have had the most amazing nurses, doctors, surgeons, respiratory therapist, child life specialists and many more staff members that have impacted our stay. All of whom have said our babies have touched their lives. I don't think they know how much each and every one of them touched ours. This is an unbelievable unit, and we're honored to call them our little NICU family. 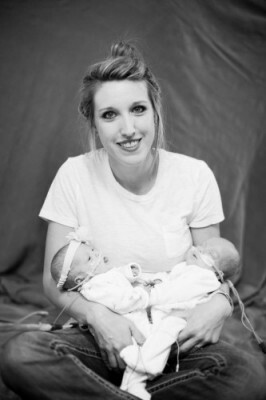 Want to help other babies like Houston and Quinn in the Cook Children's NICU? It’s time to put on your cowboy boots and once again JOIN US as we support the Cook Children’s NICU at the 9th Annual Pickin’ for Preemies acoustic jam. Purchase your tickets by clicking here.